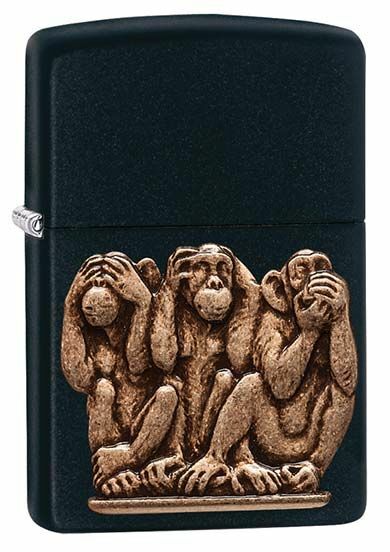 A matte black Zippo lighter with a 3 monkeys emblem on the front. Representing See No Evil. Hear No Evil. Speak No Evil.